JTJB set the trail ablaze for local and international industry players by delivering the very first Myanmar Insurance Forum. 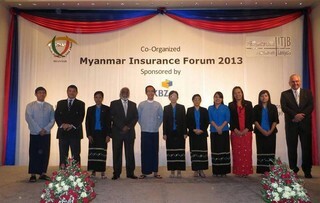 Co-organized with the Insurance Business Supervisory Board (IBSB) of Myanmar, the Forum was graced by H.E. 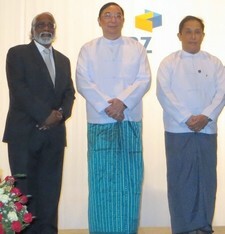 Dr. Muang Muang Thein, Myanmar’s Deputy Minister of the Ministry of Finance and Revenue. The groundbreaking Forum was held at Traders Hotel in Yangon with our Senior Partner, Dato’ Jude P Benny, delivering the Welcome Address. Our Senior Partners, Dato’ Benny and Danny Chua were amongst the speakers and they covered a wide range of topics noting that insurance is a critical component and key underpin to any developing economy. JTJB has an established presence in Myanmar with JTJB Myanmar Co Ltd. Our Myanmar office is able to deal with complex corporate and compliance issues. JTJB participated in the first Advoc International Business Law Conference (IBLC) which took place in Bali recently. The conference featured 12 speakers under 4 sessions; Investment Laws in Business Friendly Jurisdictions and New Markets, Cross Border Insolvencies, IT and Data Protection and International Arbitrations and Mediation. With JTJB’s recent foray into Myanmar, the session on Investment Laws in Business Friendly Jurisdictions and New Markets saw our Senior Partner, Dato’ Jude P. Benny sharing information on Investment Laws in Myanmar. 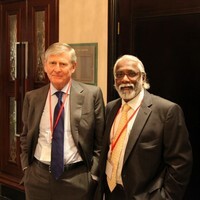 The conference also had the honor of having Mr Murray Gleeson chair the session on Cross Border Insolvencies. Mr Gleeson was the eleventh Chief Justice of the High Court of Australia. JTJB is the only Singapore member of the Advoc group, a network of international law offices spanning more than 50 countries. JTJB is a boutique full service Singapore law firm with a specialist practice in the areas of maritime law, commercial litigation and arbitration. For more information, about our Firm, please contact us at info@jtjb.com. JTJB is celebrating 25 years in practice this year. Visit our website at www.jtjb.com.